Walking . . . a movement that we all take for granted, so natural to human beings. We learn how to walk as babies and from then on, it’s our main mode of transportation. We walk around the house, across the yard or walk from the car on a regular basis, but walking can be so much more. 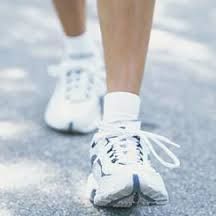 The exercise of walking is a gentle, low impact cardiovascular exercise that is easy, free and suitable for all ages and abilities. Walking has many benefits to our health and wellness. Here are just a few. Social – Joining a walking group can be beneficial for people that enjoy the social aspect. It can help with depression and feelings of isolation. 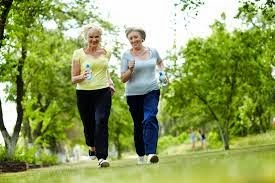 In order to experience the benefits of walking, you should be trying to get in at least three brisk walks per week at an intensity level that increases your breathing but you would be able to maintain for 20 minutes. If you can commit to the frequency, intensity and duration of your walks you will see so many benefits (some that have not even been listed) that walking can bring for you. So lace up those sneakers, get off the couch and get out and enjoy nature. You will be glad that you did!